4 Mile Creek Gaited Horses is located in the foot hills of the Ozarks, between Batesville and Searcy, Arkansas. We raise naturally gaited, head shaking- smooth walking Tennessee Walking Horses, Spotted Saddle Horses and Racking Horses, with quality bloodlines. Our stallion Keeps Cashing M.N. TWH # 20501109 (a.k.a. John Boy) is the son of the Year 2000 World Grand Champion, Cash For Keeps. Our stallions are mild mannered and easy to work with and we are seeing this trait passed on to our foals. Our mares display a gentle disposition. Be sure and visit our blog to see our current sale list. The Tennessee Walking Horses are truly amazing, versatile, intelligent, beautiful and extremely talented. They are even tempered, sturdily conformed and comfortably gaited. 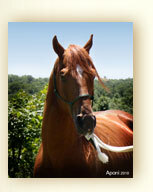 The bloodlines of the Walking Horse represent most of the early breeds of America and Canada. Immigrants from North Carolina, Virginia, New England, Kentucky, etc., brought to Middle Tennessee; Morgans, Thoroughbreds, Narragansett and Canadian Pacers, Standardbred, and Saddlebreds. 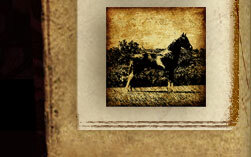 Mixing these bloodlines produced the unique qualities that have evolved into the Tennessee Walking horse of today, an exciting show horse and comfortable, reliable trail riding horse. Robert E. Lee rode a Tennessee Walker named Traveler during the Civil War. Large land owners and farmers liked using these horses because they could spend all day long in the saddle covering many miles of rough terrain. By the 1930’s, people were using tractors in the fields and automobiles for transportation. During this time Walkers made their way to the silver screen. Tennessee Walkers were used in Westerns and other films. In the 1940’s and 1950’s, the Lone Ranger rode a Tennessee Walker by the name of Silver, and Roy Rogers rode the Tennessee Walker, Allen’s Gold Zephyr, better known as Trigger, a popular horse that generated increased interest in the breed. Today, Tennessee walkers are shown in a variety of classes and are used for trail and driving, as well as jumping. Tennessee Walking Horses are also used in field trials - competitions for birddogs, and in programs designed for people with disabilities and other therapeutic programs, as well as sport events. 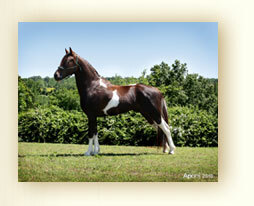 The Tennessee Walking Horse, will truly be “The Ride of Your Life”. No portion of this website may be used without permission of 4 Mile Creek Gaited Horses.